Recently, Facebook changed its terms of service regarding Fan Page promotions. Previously, promotions were only allowed in the context of a Facebook application. 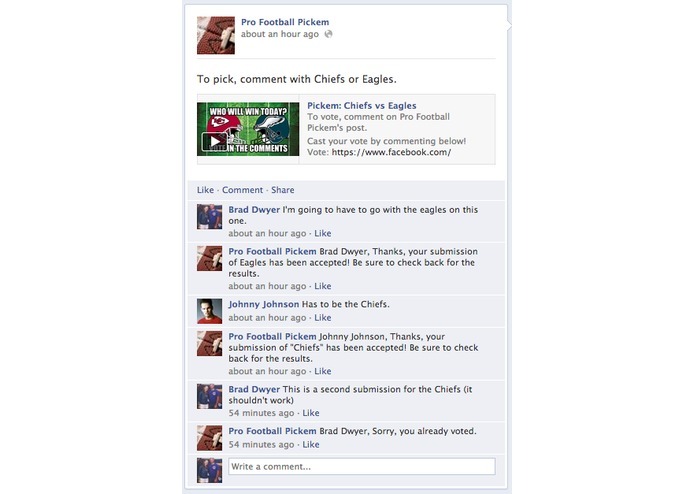 As of August 27, 2013 Pages are now allowed to administer contests directly on their fan page. Unfortunately, there are no good tools to facilitate this yet. Flash Feed is the first application built with the new rules in mind. 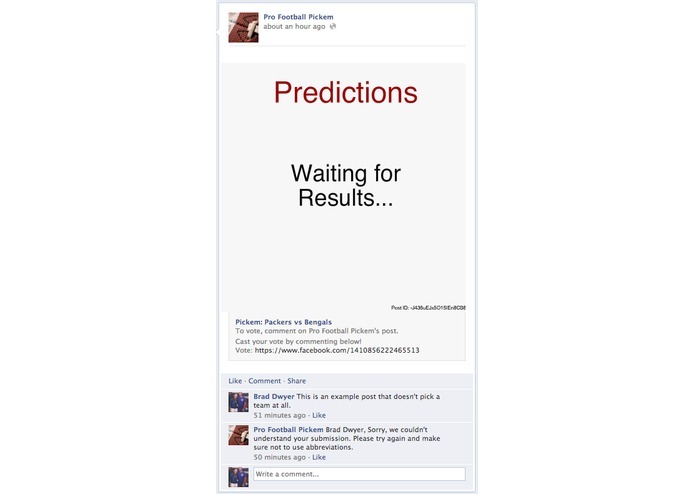 Currently, it lets you ask your Page's fans questions and receive responses via a post's comments. The backend listens to the realtime updates stream from Facebook and replies to comments programmatically based on their content. 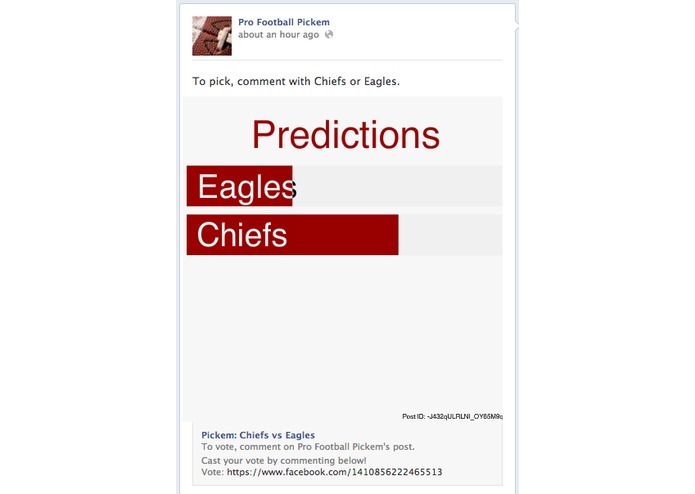 It also uses the "Feed Gaming" api in a creative way to display poll results as a post attachment. This enables users to interact with the brand without having to give up personal information or go through an OAuth flow. This integration was inspired by Ribbon's in-feed payments. On mobile, we fall back to an embedded HTML page to display the results. This integration is much more mobile friendly than a traditional Facebook "Page App" (traditional page apps do not appear on mobile at all). By using Facebook comments as the touch point, Flash Feed is able to support mobile devices; something not many Page integrations can say. Each of the posts you see were generated by Flash Feed. The attachment is a custom Flash Movie that listens to URL variables to hook up to the data feed parsed from the Facebook Realtime Updates. 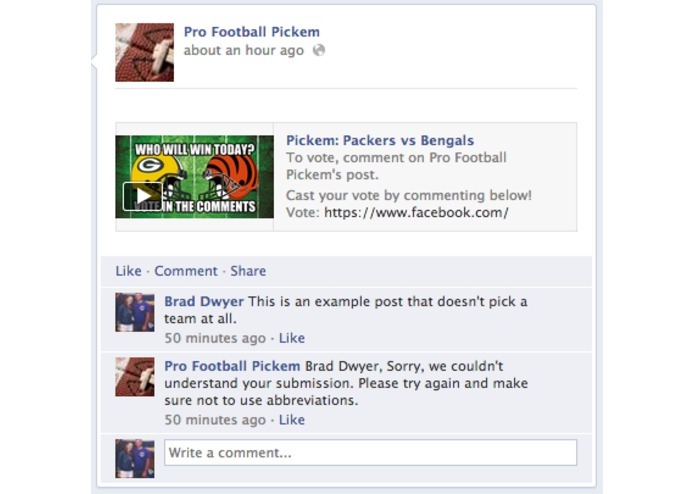 If you comment on a post with a team name, you will receive an automated reply back from the page and if you include a team name in the comment your vote will be registered and reflected in the attachment (due to delays in the FB Realtime Updates API the votes and reply can take up to a minute to register). 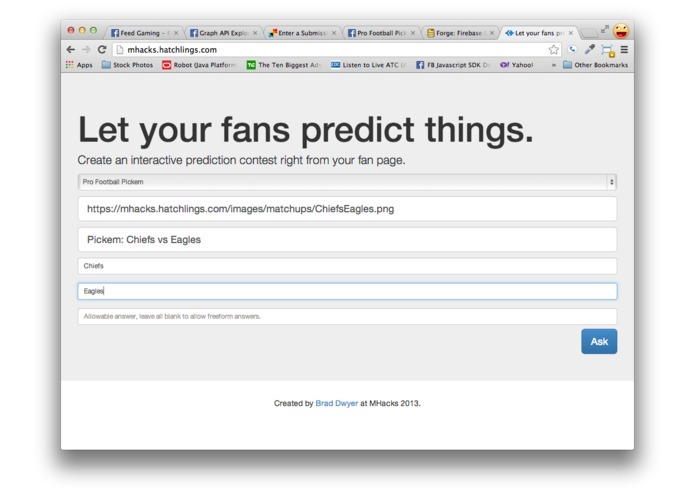 The admin panel that lets you create your own interactive polls is available at https://mhacks.hatchlings.com -- you will need to be the administrator of a Facebook Page and grant the app the manage_pages permission to check out the backend.